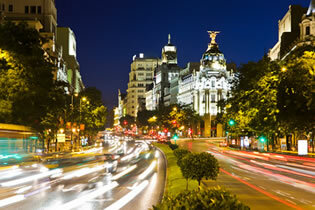 Spanish Translation Service are a leading provider of Spanish to English and English to Spanish translation services. We do not translate any other languages. Our dedication to both languages means we have been able to provide the highest quality Spanish to English translation services since 1989. Few other translation companies can compete with our level of skill and superior knowledge of both cultures. Each person is experienced in the translation of Spanish and English documents but our core strength lies in the fact that we are able to assign specific translators to specific types of document. We often receive enquiries from Spanish people who are coming to Britain and need to be certified, signed, stamped translations to English of their documents for British authorities. These may include but not exclusively: Academic Certificates and Records, Spanish Criminal Background Check, Marriage, Divorce, Birth or Death (in the case of a relative). We are also especially happy when we are asked to translate very beautiful works of literature for Spanish authors. Recently we have been absolutely delighted to translate from Spanish to English the wonderful literary work by Cristina Bertrand ” Las Tres Reinas Mongolas” or ” The Three Mongol Queens”. From simple one page certificates to very long detailed documents, Spanish Translation Service will provide you with an accurate, affordable and rapid translation service, tailored to your requirements. Our well-earned reputation is based on a meticulous attention to detail backed up by the fact that Spanish Translation Service always aims to surpass your expectations. You can always trust Spanish Translation Service with your personal or business translation requirements. Contact us now for a no obligation quote of your document.